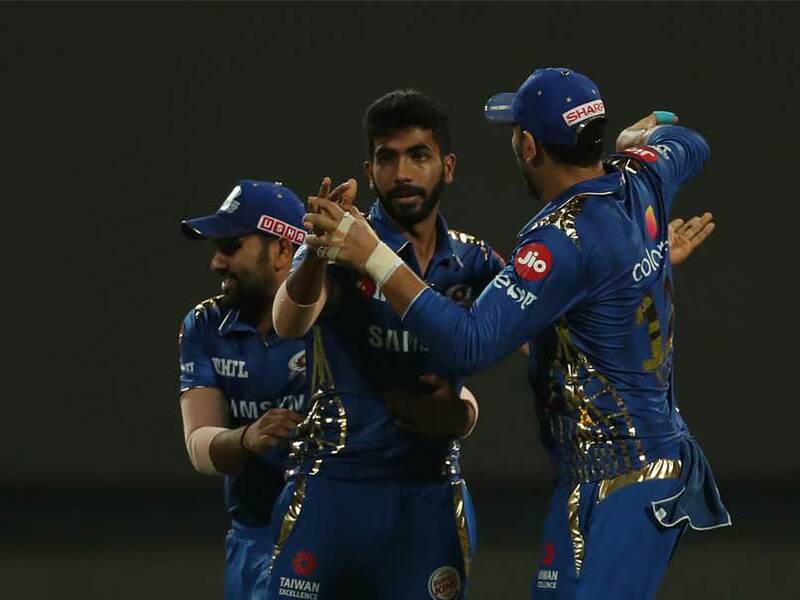 IPL 2019 Highlights Updates Between Royal Challengers Bangalore vs Mumbai Indians, straight from M. Chinnaswamy Stadium, Bengaluru. 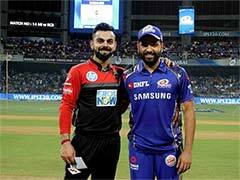 That brings an end to match 7 between Royal Challengers Bangalore and Mumbai Indians in Bengaluru. Thank you for joining us for the IPL live coverage. Jasprit Bumrah was adjudged player of the match for match figures of 3/20 in 4 overs. "We are playing at the IPL level and not playing club cricket. The umpires should have had their eyes open. That is a ridiculous call at the last ball. If it is a game of margins, I don't know what is happening. 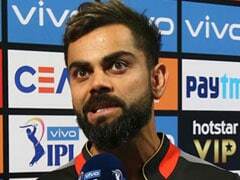 They should have been more sharp and careful out there," Virat Kohli said after the match. 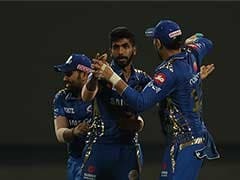 Mumbai Indians win by 6 runs. But the replay shows that Malinga clearly over-stepped which went unnoticed! RCB need 8 runs to win from 2 balls. Bumrah drops Dube as he takes a single. De Villiers will be back on strike. Dube starts the over with a maximum as he hits the ball over long-off. 11 required off 5 now. 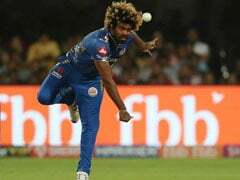 Malinga will be bowling the final over. Just 5 runs were scored off Bumrah's over. RCB need 17 runs to win off the last 6 balls. Shivam Dube is the new batsman at the crease. Bumrah strikes as he gets De Grandhomme.caught by Krunal Pandya at deep cover. Tight call by the umpire as he signals for an extra as the ball was inside the tram line. 18 runs were scored off Hardik Pandya's over. RCB are 166/4 and need another 22 runs to win from 12 balls. Back-to-back sixes for Mr 360 as he hits smacks the ball over backward square-leg. De Villiers hits the widish ball towards deep cover. De Villiers begins the over with a boundary as he clears the ball in the deep mid-wicket region. RCB are 148/4. They need another 40 runs from 18 balls. AB de Villiers brings up his 29th IPL half-century. Hetmyer departs as Bumrah strikes! He is caught by Hardik Pandya at mid-off. RCB are 147/4 in 16.1 overs. Back-to-back sixes to finish the over as De Villiers smacks the ball towards deep square-leg. De Villiers hits the ball over between long-off and deep extra cover. Malinga bowls one down the leg-side. De Villiers gets one towards the fine-leg. Another one between deep mid-wicket and deep square leg. De Villiers hits his first boundary at deep mid-wicket. Shimron Hetmyer is the new batsman at the crease. Bumrah strikes! He gets the big wicket of Virat Kohli. He top-edges the ball as Hardik Pandya takes the catch at mid-wicket. RCB are 116/3 in 13.4 overs. 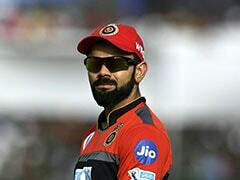 Kohli takes a single and with this he becomes the second batsman after Suresh Raina to reach 5,000 IPL runs. RCB are 113/2. They need 75 more runs to win from 42 balls. De Villiers smacks the ball over backward square-leg. Malinga bowls one bouncer as the square-leg umpire signals for a wide. RCB reach 101/2 in 11.4 overs. Kohli and De Villiers have added 34 runs for the 3rd wicket. De Villiers hits one out of the park! He hits the ball over long-off. Kohli hits the ball straight down the ground. Just three runs were scored off Markande's over. RCB are 75/2. De Villiers edges the ball to Yuvraj Singh at first slip and he fails to take the catch! AB de Villiers comes in to bat at number 4. Markande strikes in his first over! Parthiv Patel inside-edges the ball and is clean bowled. RCB are 67/2 in 6.5 overs.